I am Kat Goldin, an Iowan transplanted in Scotland with a 5 year old named Ellis, a 2 year old named Georgia and 1 year old baby Theo, a South African husband (Kevin), 2 cats, one goldfish, and a couple of slugs. 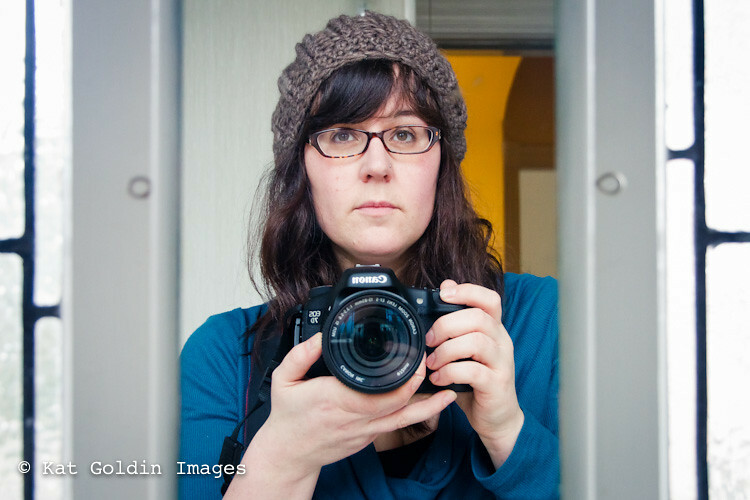 When I am not blogging, I can either be found with yarn or camera in hand. I am partial to silk blends and a Canon 5D and a 50mm f1.4 lens, respectively. My motivation for photography is here. I edit photos using Lightroom 3, which I love. Generally my photos are edited to improve brightness (its dark and rainy here) and sharpen, though sometimes I do like to play ;). I get the rounded corners on my photos by using a preset in Lightroom, but you can get the same effect by using Picmonkey. I do a range of professional photography work, including portraits, product photography. Contact me to discuss your requirements, website launching soon. I can be emailed at slugsontherefrigerator@gmail.com . Please note, I do not accept advertsing or paid content. With my friend Kat Molesworth, I offer a range of eCourses to inspire people to take better pictures of their children. We can be found at Capturing Childhood.